Fassinating Fassbender - A Michael Fassbender Fan Blog: BAFTA Nominations Tuesday morning! 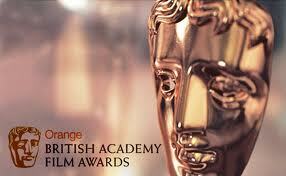 The BAFTAs will announce their nominations Tuesday morning, Jan 17th at 7:40am. It's unclear if that is GMT, or EST - they need to be specific. I will be in route to work at that very hour if it's EST, but if it's GMT, upon waking up and checking online, I will be able to see the list of nominees prior to going into work. So I hope the latter scenario is accurate. In any event, tomorrow is going to be exciting - go to http://www.bafta.org/film/awards/nominations-announcement,2537,BA.html to see the live update, or watch the updates and feedback on BAFTA's twitter feed @BAFTAfilm. As per the longlist that was released last week, we anticipate seeing Michael Fassbender nominated in the Best Actor category. It is my hope that the film Shame receives a few nods as well. In other news, make sure you are paying close attention to @HaywireFilm at twitter because they are giving away free movie passes to select theaters that will be featuring Haywire when it comes out this weekend. And yes, just as I'm typing this, I realize, cripe, I have a new Fassy movie to see! I've just been so busy with work, classes have started again, and my attention has been so focused on promoting Shame that I forgot that Jan 20th is just a few days away. So those of you who are lucky enough to be near a city and theater where free tickets are being given out - try to take advantage of it! Lastly, although June 8th seems far away, it will be here in no time, and Prometheus promises to be an exciting film. When you have a moment, get acquainted with my newest affiliate partners at PrometheusNews.net. They will update their blog with all the latest information about Prometheus, co-starring Michael Fassbender, Noomi Rapace, and Charlize Theron, just to name a few! It's already Tuesday in NZ. Wait...don't think they mean NZ times. Of all the major awards show precursors, I've always felt most secure about a BAFTA nomination for Michael. I don't want to say it's guaranteed, but if he somehow misses out, it will be jarring to say the least. he's got the nomination. well done! The Bafta will go to Gary Oldman, and i am completely happy about it. Gary is one of my favorites actors. but i am very happy Michael got the nomination, also carey, but she is nominated for "Drive", the Bafta sure loves that movie.